The Honey Stick adjustable 36w battery allows the user to set their desired dosage for easy concentrate vaping – kit includes our revolutionary Dabsolute Concentrate Pen. The Dabsolute Concentrate Pen is 100% Made in America with a lifetime warranty against workmanship and material defects. The Dabsolute Concentrate Pen is manufactured with the highest quality surgical stainless and high heat ceramic components for a lifetime of worry free usage. 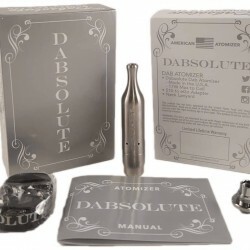 The Dabsolute Concentrate Pen’s patented airflow and coil design make it virtually impossible to clog or break eliminating the need for replacements. The Honey Stick adjustable 36w battery allows the user to set a suitable wattage for their desired flavor as well as allowing for larger rips. Do not exceed 17w maximum wattage or damage could occur to the Dabsolute Concentrate Pen. 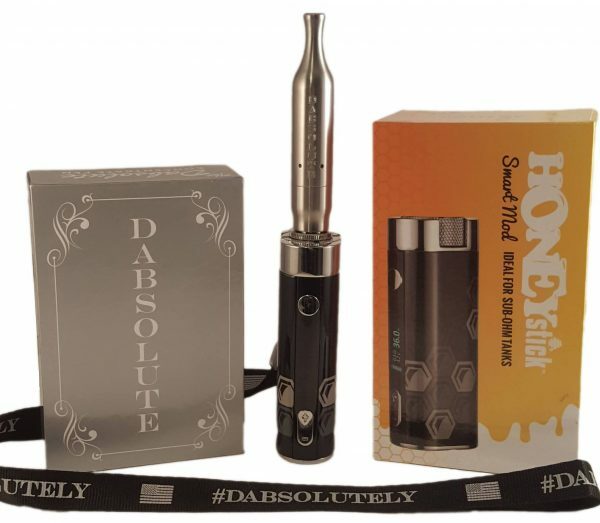 This kit is provided with separate packaging for the Honey Stick Battery and Dabsolute Atomizer. Purchase your Dabsolute Concentrate Pen now and enjoy hassle free vaping for a lifetime. Complete Kit is the same as the Silver Kit pictured above. The flagship model of The Daberator family. There is no product like it on the market. 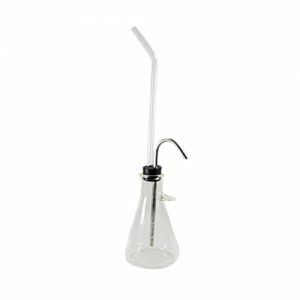 The Daberator will out perform ANY dab rig on the market today in efficiency and value.